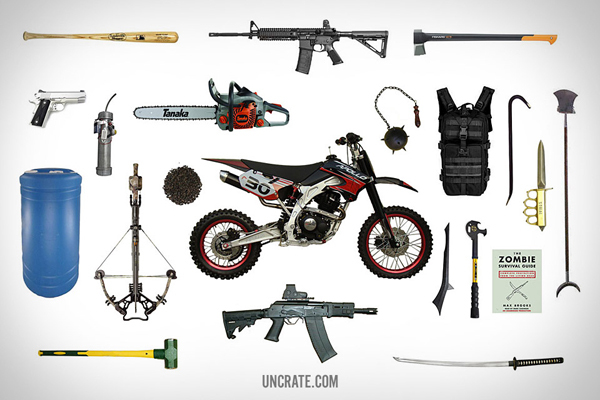 The folks at Uncrate compiled a good list of items for your zombie-apocalypse-preparedness-kit. Click on the image below for a bigger view. 9 x 1 = ?